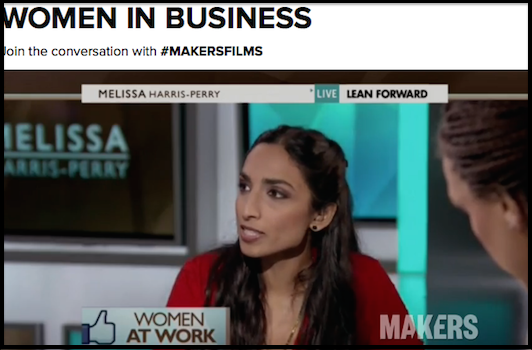 Check out the new PBS documentary Makers: Women in Business. I make a brief appearance on the question of “leaning in” at minute 43:33-44:55. Though only for a few seconds, I am glad the film documents some of the complexities of the debate surrounding women’s leadership and Sheryl Sandberg’s book Lean In. You can read my full critique published in an essay for MSNBC “Lean in? For Millennials, the question is what are we leaning toward.” Or watch my appearance on the Melissa Harris-Perry show here.